Phenolphthalein indicator. 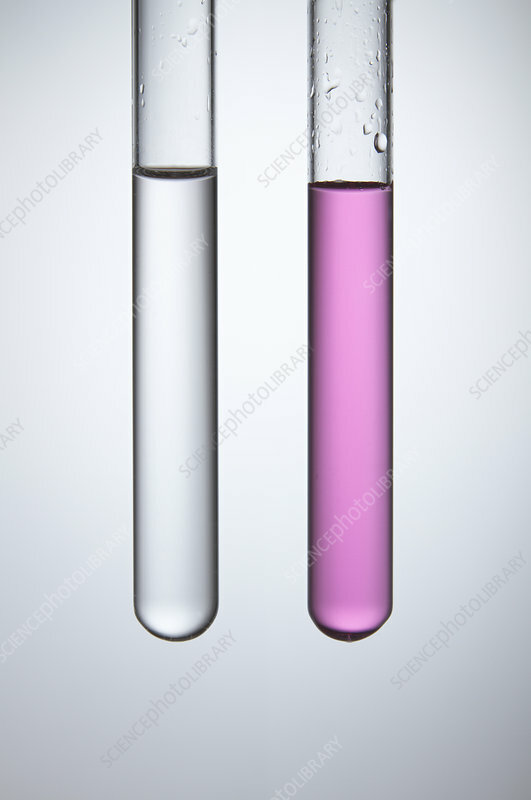 Phenolphthalein indicator solution added to two test tubes containing sodium hydroxide solutions with different pH values, pH = 9 (left) and pH = 11 (right). Phenolphthalein changes its colour depending on the pH of the solution. In acidic solutions it is colourless while in basic solutions it turns into a pinkish violet (fuchsia) colour.